Oh wow! Where does time go? Between projects and clients and the end of the school year and summer baseball, I feel like I haven’t been able to sit down to write on the blog! Today I have a confession to make. “My name is Heather Brown and I have an obsession with pillows.” Seriously. I went into Homegoods the other day to return something and I told myself at least three times “do not go down the pillow aisle.” Sure enough, I wasn’t in there for more than 10 minutes and I got totally sucked in. I DID NOT have time for this! 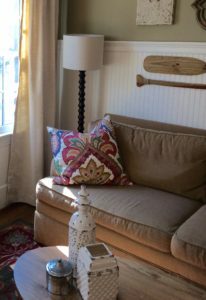 I had no place for these fun colorful pillows but they caught my eye and I found myself imaging them on a white slip-covered sofa in a beach cottage. I forced myself to walk away! Seriously though, I obsess over pillows. They can make a boring room come alive. 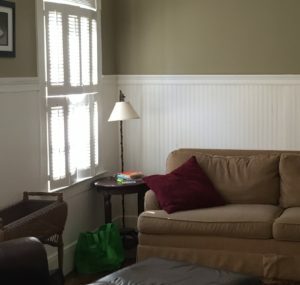 I did a mini makeover on a client’s keeping room awhile back. The client had a green and burgundy rug and wanted to keep it for now. I found these gorgeous embroidered pillows! They were totally out of the budget but I knew they would make the room so I cut back on the budget for everything else to squeeze them in! Then there are these inexpensive embroidered beauties I found at a big box retailer. They look like $200 pillows but they were only $30. I bought them for a client’s master bedroom makeover but the client ended up buying a new house and they didn’t work in the new master. I’ve tried to return them but I can’t bring myself to do it! Stay tuned and I bet you’ll see them surface in one of my projects this year. I found these pillows at Nadeau in Buckhead. Who knew Nadeau carried pillows? Not me. I’m kicking myself for not buying a few. I would have totally designed an entire room around these gorgeous pillows. I especially love the vibrant orange and green ones. Did you know that blue is very hot right now? Every shade of blue! I have been working on a client’s living room and we decided on soft blues as accent colors. 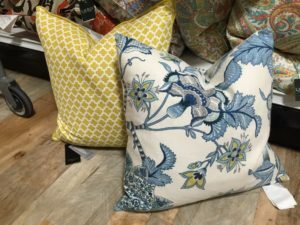 I was in Pier1 the other day and was throwing pillows all over the place until I settled on some of these pretty blue pillows. Need a few tips to give your pillows that high-end designer look? 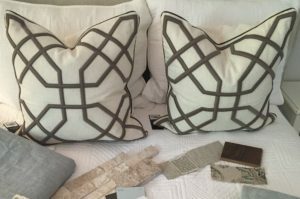 When you can, use feather/down inserts that are 1-2 inches LARGER than your actual pillow cover to make them look nice and full. The inserts make a HUGE difference. I often look for inexpensive pillows with a zipper and then switch out the poly or synthetic insert.